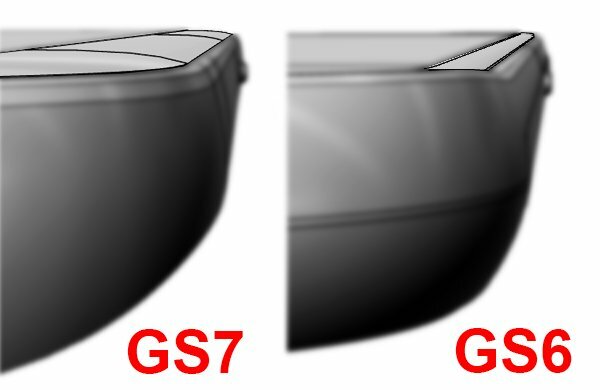 A new leak suggests that the Galaxy S7 might feature a curved design that's similar to the Galaxy S6 Edge+ and S6 Edge. OnLeaks has provided a visual comparison between the upcoming S7 and the present gen Note 5. It clearly shows the Note 5 having a bigger camera hump and a flat back while the S7 is sporting a significantly reduced camera hump on a curvy back panel. If you were hoping that the Galaxy S7 will feature a flexible display, the chances of that happening aren't that good. 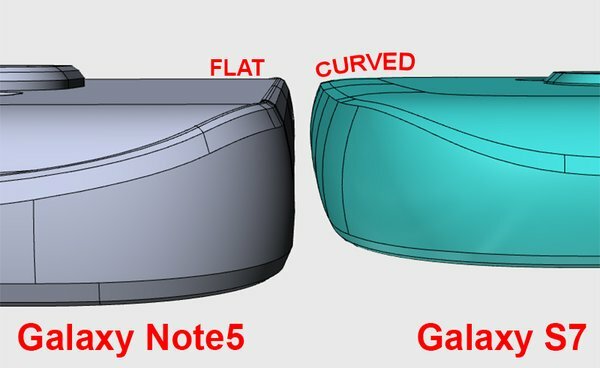 You will instead, get a "curved in" flagship from Samsung this year, that's not only curved on its sides, but also curved on both the top and the bottom. At Samsung's Unpacked 2016 event on the 21st of February, the Korean manufacturer is going to unveil the S7 to the world, but we are not sure as to how much of the mystery remains to be "unveiled." We mostly know what to expect, thanks to all the leaks and rumors that have been around for the last few months. Nonetheless, the specs do sound awesome and according to latest reports; those specs will be powered by a 3000mAh battery that's capable of playing videos on the Galaxy S7 for 17 hours on a loop. It can also be charged from 0-100% in 100 minutes and 0-50% in just 25 minutes!